The Police Department has a Belgian Malinois police dog that is dual-purpose certified through the United States Police Canine Association. Primary duties of the K-9 unit are narcotics detection, tracking/searching for criminal suspects or lost persons, evidence and building searches, and criminal apprehension/officer protection. The key to maintaining a successful K-9 program is training. Austin’s K-9 program is blessed by excellent support from other police officers who are willing to play the “bad guy” so the K-9 dog can effectively catch real bad guys. One area in which K-9s are extremely useful is as a psychological deterrent. Often the sight and sound of a well-trained K-9 on scene is enough to prevent offenders from resisting arrest and can cause hiding suspects to surrender peacefully once a warning is issued that the K-9 is coming. 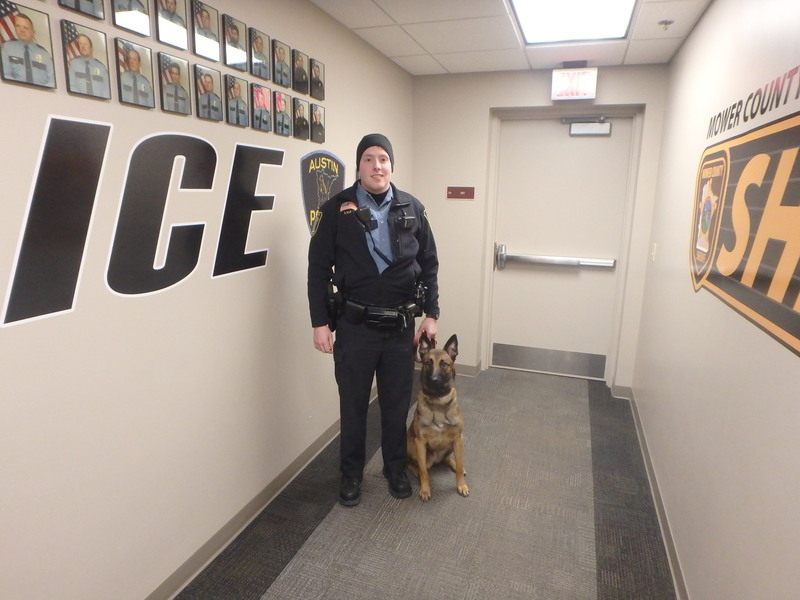 Officer Derek Ellis and his canine partner Rudy work the evening shift and are available on-call. They are members of the United States Police Canine Association and certify on an annual basis.